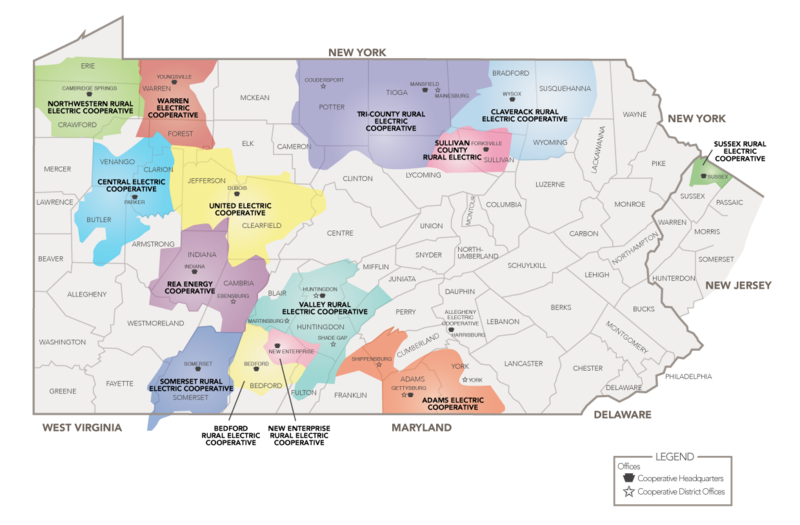 Here are the service territories of the 14 electric distribution cooperatives in Pennsylvania and New Jersey that comprise PREA. These not-for-profit, consumer-owned utilities provide affordable and reliable electric service to more than 225,000 meters representing 600,000 rural residents. Click inside a cooperative's territory for more specific information about that cooperative or click the links below. New Enterprise Rural Electric Cooperative, Inc.
Sussex Rural Electric Cooperative, Inc.